"With all the options for different kinds of sauces and types of sausage, it goes without saying that you can embellish this a hundred different ways, and I hope you do." Cook sausage in a Dutch oven over medium heat until browned, about 15 minutes. Stir in parsley and cook for about 2 minutes. Stir in white wine and cook until the wine has nearly evaporated, 3 to 5 minutes. Stir in heavy cream, increase heat to high and bring to a boil. Stir in marinara sauce and water and return to a boil. Reduce heat to low and simmer sauce for 1 hour. Fill a large pot with lightly salted water and bring to a boil. Stir in penne, and return to a boil. Cook pasta uncovered, stirring occasionally, until cooked through, but still firm to the bite, about 11 minutes; drain. 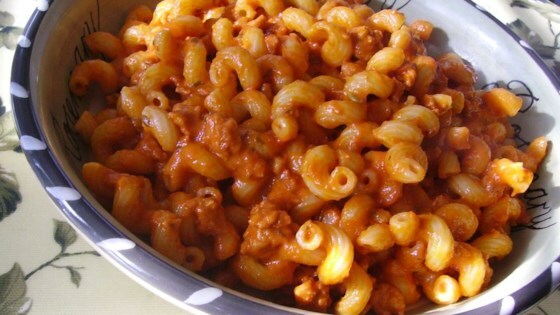 Combine pasta and sauce; remove from heat, cover and let sit for about 2 minutes. Serve pasta and sauce topped with grated Parmigiano-Reggiano. Watch how to make a super easy, unbelievably delicious pasta sauce. 5 stars for being easy, simple, and good! This will be my go-to if we just want to use italian sausages instead of my usual sausage/beef mixture. This was delicious. Did not change the recipe at all. My dinner guest ate himself into a carb-induced coma. So simple - will be making this again. Absolutely delicious! My husband loved it. Easy to make and I will make it again and again!! The only thing I changed was using 16 oz of pasta instead of 14oz. This has become one of my family and I favorite dishes.